The Bigs is the exact opposite of our creation: beautiful to look at, but an on-field performance that leaves a bit to be desired. The biggest offender is the fact that the game’s arcade style elements just don’t make things very interesting. It starts with the Big Play feature, a points-based gauge that you build up through getting hits, catches, and just generally doing things right on the field. 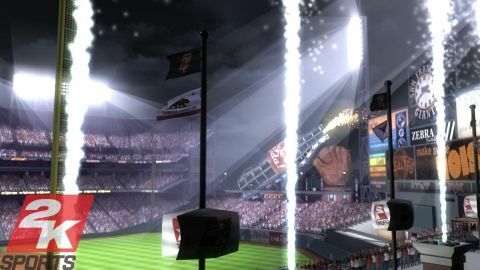 When it’s maxed out, you can hit an all but guaranteed home run as a batter – known as a “Power Blast,” which sounds suspiciously like a flavor of Gatorade – or collect an equally likely strikeout with a pitcher that’ll sap the other player’s Big Play meter. Description An outrageous, arcade-style baseball game brought to you by the same folks behind the MLB 2K series.